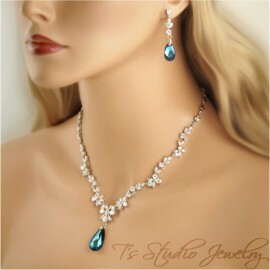 This gorgeous necklace and earrings set features beautiful dark sapphire blue crystals, that are in silver settings surrounded by tiny clear crystal rhinestones. 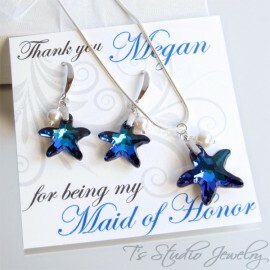 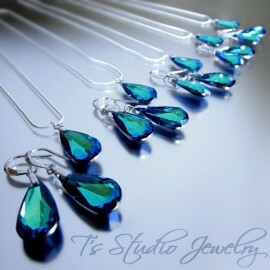 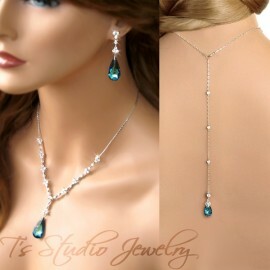 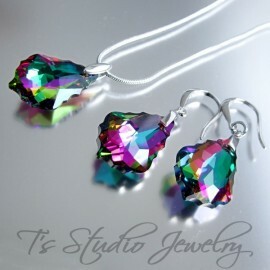 It is perfect for bride, bridesmaid, prom, mother of the bride, or any special occasion. 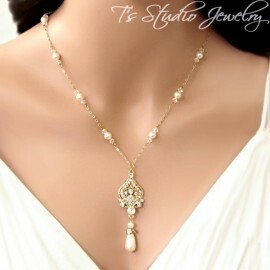 Length of necklace is adjustable.